Back in the early 90s I was on the search for a Can LP. A cheap Can LP. I came across Saw Delight, bought it and was severely disappointed. Then on joining The Heads I suddenly had the chance to listen to all these records. Simon [Price, guitars and vocals] and Hugo [Morgan, bass] worked for Replay Records and shared a prefabricated haunted house with Wayne [Maskell, drums]. In the front room Simon had set up some Ummagumma-sized WEM speakers wired up to his record player upstairs. 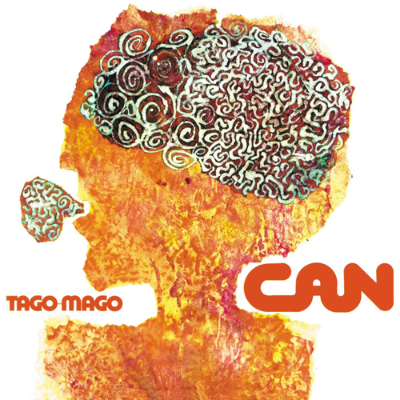 This is where I first got to hear Tago Mago. We listened to the first record a hell of a lot and the second one not at all. Nowadays I am quite partial to the second record, with its polyrythmic coda on 'Augmn' and the simmer down of 'Bring Me Coffee Or Tea', although 'Peking O' is still very silly. Obviously all the elements of what make Can great is here, and two LPs' worth of it too, but for me the very short break on 'Oh Yeah' before the drums kick in again is so beautiful and dream-like that it cannot be replicated.